Statistics tell us that facility floods are the fourth most common cause for an organization to abandon its facility and invoke its off-site recovery process. In reality what is described in this statistic as a flood, is more often than not an escape of water or liquid, which is considerably different to a flood: and impacts of both to a facility differ significantly. In Janco's opinion it is imperative that business continuity professionals consider the temporary loss of their facility due to a flood or escape of water as a ‘high risk' and develop a disaster recovery business continuity plan to meet the requirements to deal with this type of incident. Janco's observations of organizations rallying support from staff to attend an alternative recovery site are peppered with business resumption success and staff morale negativity. In some instances it became apparent that staff felt a real sense of loss, which was not sympathetically dealt with by management. Concerns about managing the impacts on personal lives and daily routines caused by the relocation to the recovery site are also common. It's apparent to me that to keep morale high and retain staff throughout the work around, efforts to restore the lost facility must be concentrated so that staff can return to the facility as quickly as possible. Many organizations simply do not have the luxury of being able to move to an alternative recovery site following an event that causes the loss of a facility. In these cases disaster recovery plans should include the external expert support of a specialist company that will aid the internal recovery and incident team to mitigate against secondary damage, administer triage to the affected areas and expedite the correct equipment, methods and manpower to restore their facility as quickly as possible to a suitable working environment, so that service can be resumed. Speed of response is vital: in order to reduce the level of disruption and physical secondary damage; and to limit the time in which function is lost. Dealing with an incident within the first few hours may reduce the total time of the disruptive event by weeks. These questions, answered accurately, will in some circumstances negate the requirement to invoke a third party recovery center and reduce the disruption surrounding the impact of the incident. Make sure that you consider out-of-hours disaster response as well as the time when the facility is in use. In many cases we have learnt at our clients' peril that the person who discovers an incident, such as a leak in the ceiling on the second floor in the accounts department, was the out-of-hours cleaning technician supplied by an external contract cleaning company; and who, sadly, was not privy to the emergency procedure, in fact neither was his/her boss who he/she called and informed about the problem. In this situation the organization is at high risk, largely due to the good intentions of others who make attempts to help: and inadvertently make matters worse. It could be argued that the probability of a facility incident may be low, the risks and associated impacts are very high and making sure that an incident plan is created should be a priority. The plan needs to address emergency responses in dealing with the disruption, care and consideration of staff, communication and associated contingency's as a bare minimum. The plan needs to pre-engage the correct resources, expertise and capability to assist you and your team in dealing with the incident. 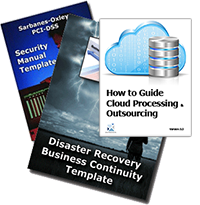 Further ramifications to consider may be damaged documents, IT equipment, and critical process equipment to name just a few of the essential items that may need to have to be restored, so that operationally you can resume. Seldom do we find an organization that has a property restoration specialist, document restoration specialist or IT restoration specialist within their talent pool and so these services need to be found in advance: this is the only way that your company can ensure that it will have priority response following an incident. This is important because, as is often the case, organizations are sometimes one of many in one location that have been affected by the same event at the same time, be it a storm, water mains flood in the street or wide area incident such as a river flood. The importance of pre-engaging your team is vital to the success of your incident management and your facility recovery.